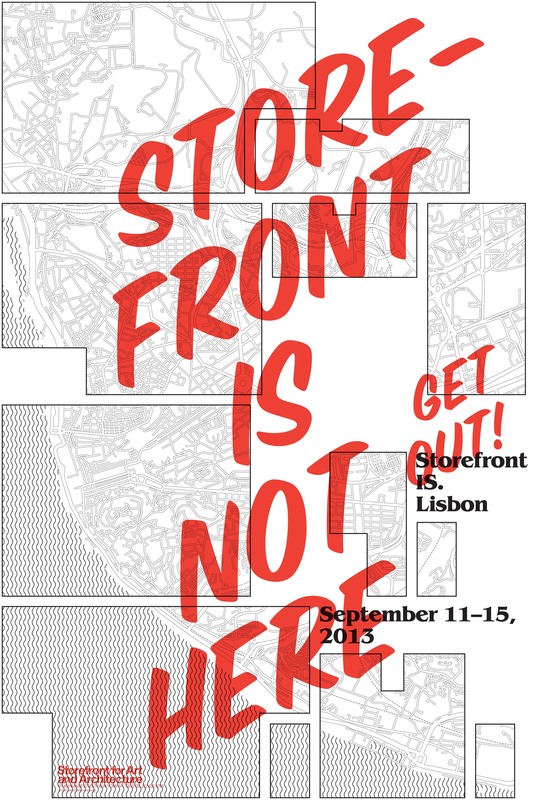 Storefront International Series: Lisbon (Storefront IS Lisbon) was a five-day series of events that took place in contested sites across the city of Lisbon, while addressing the most pressing issues in the construction of public life in the region. Local and global agents from different fields presented and discussed their ideas and observations on various sites throughout the city in order to articulate some of the most relevant questions of the cultural and physical landscapes in contemporary southern Europe. Going beyond social, disciplinary or ideological boundaries, Storefront IS Lisbon aimed to break established lines of division to produce spaces of collective thought, reflection and ultimately, action. Storefront IS Lisbon was presented as part of the Institute Effect at the 3rd Lisbon Architecture Triennial: Close, Closer. This is the second edition of Storefront I.S. The first presentation of Storefront I.S. took place in the Dominican Republic in Summer 2013. Additional programs in other regions are currently in development. For more information contact km@storefrontnews.org .